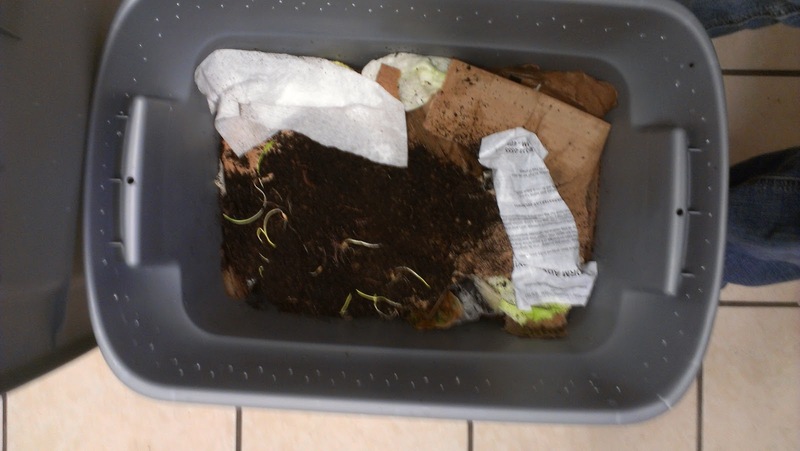 Weirding with Wisdom: Now a proud Vermicomposter! Now, I didnt want to spend a bunch of money on a composting bin, so I searched the internet and found a bunch of great guides out there for DIY bins for cheap! 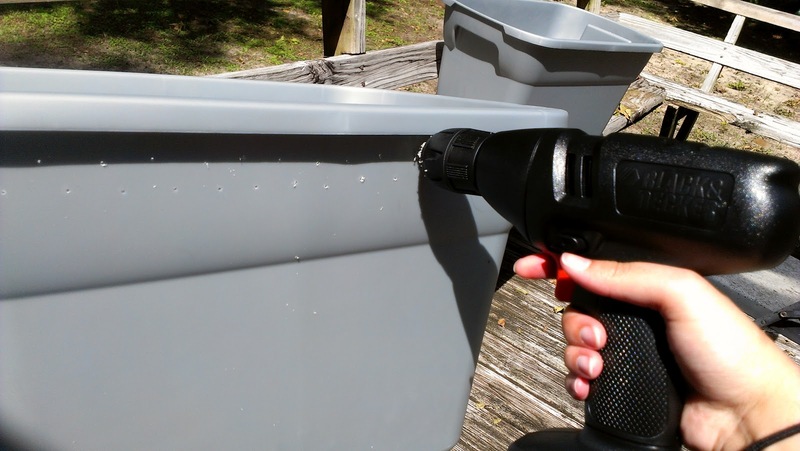 I got myself two 10 gallon bins from Walmart ($5 each) and my trusty drill, and got down to it. 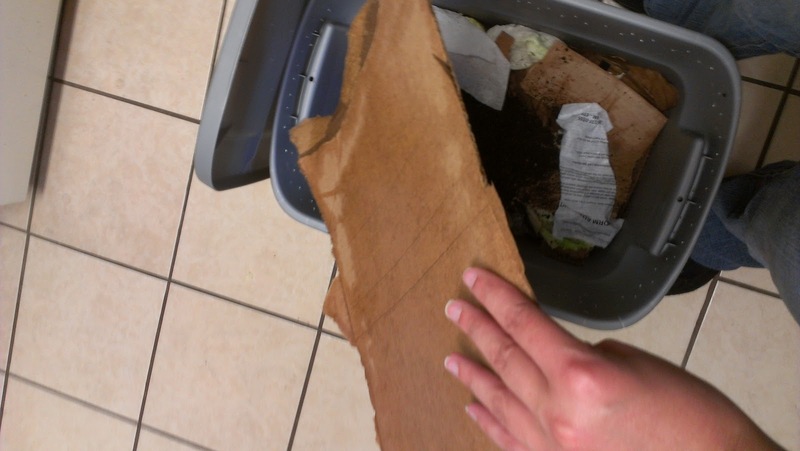 Be sure that the bins you get are not see-through! Worms live underground, they like the dark. 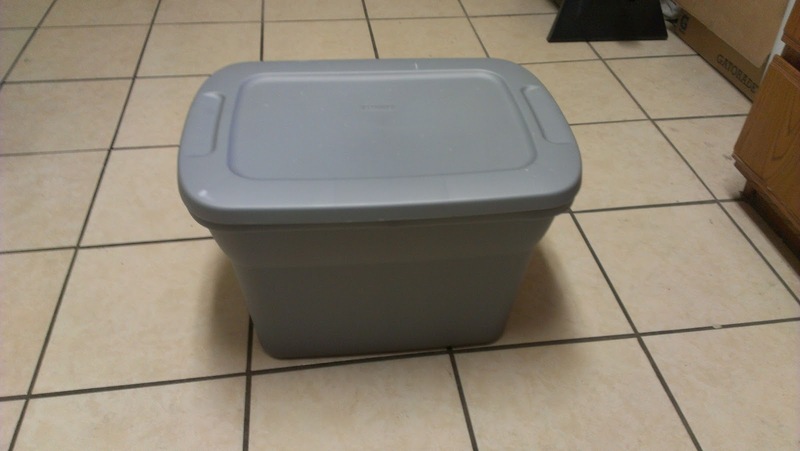 Heres the bins I got. 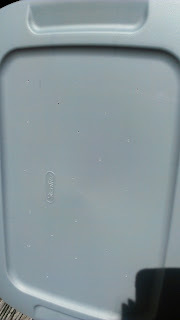 You can see where I started drilling holes around the top edge of one of them. I drilled 1/4 inch holes along the bottom of the tub for drainage, and 1/16 inch holes along the upper edge for air flow. I also put some 1/16 inch holes in one of the lids. And thats pretty much it! 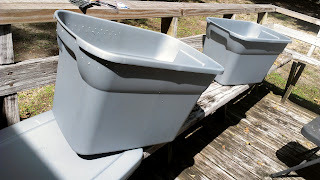 You can put the bin with holes inside the bin without holes, and it will catch any water leaking out (Called "worm tea", which also makes a really good fertilizer, supposedly) If your bins sit right inside eachother with no space in between, I suggest putting some blocks or something in the bottom of the one to raise the other one up a bit off the bottom. I'll probably have to do this. Then comes the fun part! I filled my bin up with a bunch of ripped up cardboard I had laying in wait for this very purpose, a bit of food (a banana peel and the used filter (and grounds) from my coffee this morning), some newspaper, and a few leaves that I picked up from outside. Get everything a bit damp (but not wet, you dont want to drown them!) and then dump in the worms! I plan on using the castings that these little guys make to fertilize my container garden when I get that started in the spring. I'm sure I'll have a surplus, so I'll also probably end up drying and packaging it, and sending it off to family and friends as Christmas gifts and such. Maybe even sell it if anyone shows an interest! This is my first time doing this, so I'll definitely post updates as I go along if anything interesting happens! Right now they're recovering from their trip through the mail, hopefully they settle well into their new home!